Let me convince you otherwise. Particularly those heading into or already in the 50 and 60’s. 30% of people aged over 65 years living in the community have a fall (in developing countries). The incidence of falls increases with age. By ages 80-90 about 40-50% of people are falling annually. For all age groups the rate of falls is greater in women than men. Women make up 68% of fall injuries. 31% of falls result in fractures. 14% to the hip. 13% to the head. The average stay in hospital for a fall is 15.5 days with emergency operations for hip fractures hitting over 19,000 in Australia. This comes in as the second highest emergency procedure following acute appendicitis. So, we acknowledge falls are an issue…when you are over 65. NO! Falls are an end result and a down progression. Preventing falls starts now! I mean now. Stand on one leg (no holding on). Can you hold your balance for 1 minute? Passed that one, now try with your eyes closed. Unable to do the first one, and/or the second? Time to start working on your balance. What is a ‘fall’ to a health practitioner? An unexpected event which results in the loss of balance and results in landing on the ground. What is the problem with falls? Falls result in the loss of independence, fractures, financial and social burden. Changes to emotional state with dis-empowerment, isolation and helplessness can result in depression. Relocation into an aged care home is common. What is the financial burden of a fall? The cost to yourself or the health system according to an average stay for a fall resulting in a fracture is $500 per day. $500 x 15.5 days = $7750 (excluded costs of imaging investigations and surgical expenses). So what works for reducing falls? At least 50 hours over 6 months (2 hours per week – 10 minutes twice a day). Here at CCHN we offer a 1 hour class which means you only need to perform 10 minutes at home 6x per week to cover the amount required to make a significant change to your balance. Or perhaps you would rather learn what exercise to perform and go away and do them. Either way, one thing is for certain. Test your balance. 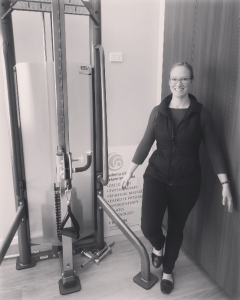 If you are finding yourself unstable do something about it like booking into one of our strength and balance screenings with the exercise physiologist for $40.